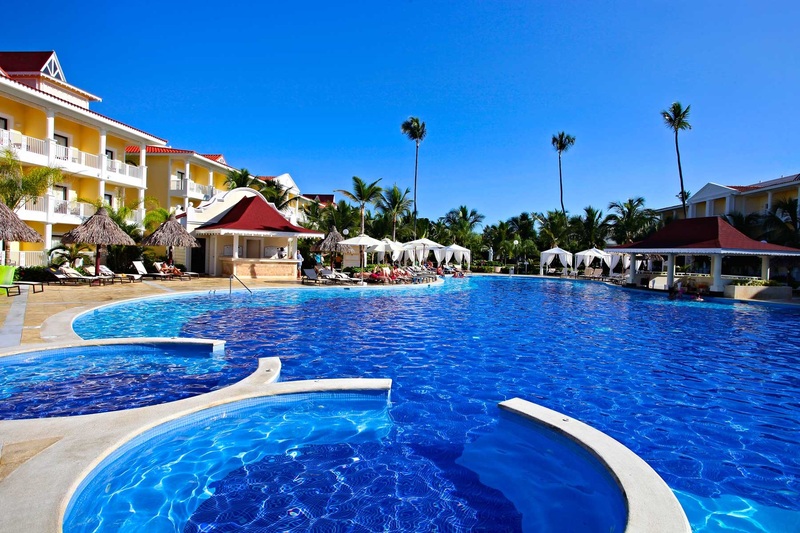 Pool at Luxury Bahia Principe Esmeralda in the Dominican Republic. 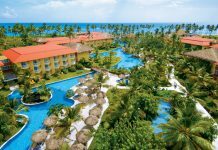 The all-inclusive Luxury Bahia Principe Esmeralda is one of five resorts in the Bahia Principe complex in Punta Cana. 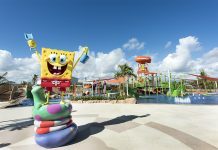 Highlights of the resort include easy beach access with exclusive drink service, a kids play area with access to the water park, and special amenities typically only available with VIP rates at the other Bahia Principe resorts. 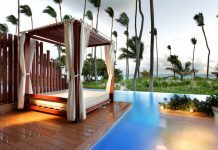 As an added perk, guests at Luxury Bahia Principe Esmeralda can use amenities at four other resorts, but only guests staying at luxury Ambar can use Esmeralda’s facilities. Some age restrictions may apply with adults-only Ambar. Guests can choose from rooms with two full-size canopy beds, or one king canopy bed. There’s air conditioning, 24-hour room service, mini-bars, and balconies or terraces. Butler service, towels for the pool and beach, bathrobes and slippers, and other VIP amenities are included. Dining options include two buffet restaurants, an oriental a la carte option, an Italian restaurant, and a Brazilian steakhouse. There are bars throughout the resort, including swim-up and beach bars. Additional resort highlights include a spa, nightclub, and water park. Fly into Punta Cana International Airport, Dominican Republic (PUJ). The resort is about 30 minutes from the airport. Visit Luxury Bahia Principe Esmeralda’s website for more information.